The only hardcover edition of the beloved, internationally best-selling gothic mystery. EVERYMAN'S LIBRARY CONTEMPORARY CLASSICS. The unassuming young heroine of Rebecca finds her life changed overnight when she meets Maxim de Winter, a handsome and wealthy widower whose sudden proposal of marriage takes her by surprise. Rescuing her from an overbearing employer, de Winter whisks her off to Manderley, his isolated estate on the windswept Cornish coast--but there things take a chilling turn. Max seems haunted by the memory of his glamorous first wife, Rebecca, whose legacy is lovingly tended by the sinister housekeeper, Mrs. Danvers. As the second Mrs. de Winter finds herself increasingly burdened by the shadow of her mysterious predecessor, she becomes determined to uncover the dark secrets that threaten her happiness, no matter the cost. 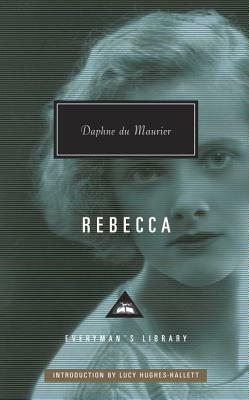 DAPHNE DU MAURIER (1907-1989) was an English author and playwright. Many of her works were adapted into films, including the novels Rebecca and Jamaica Inn and the short stories "The Birds" and "Don't Look Now." LUCY HUGHES-HALLETT is an award-winning cultural historian and critic. She is the author of biographies of Cleopatra and Gabriele d'Annunzio and of Heroes: A History of Hero Worship. Former television critic for the Evening Standard, she has long been a regular contributor to the books section of The Sunday Times (London). She has judged a number of literary prizes and is a Fellow of the Royal Society of Literature. She lives in London.